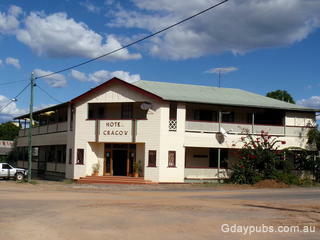 Cracow Hotel Classic central Queensland Hotel that is an attraction in its own right. Well worth a visit. 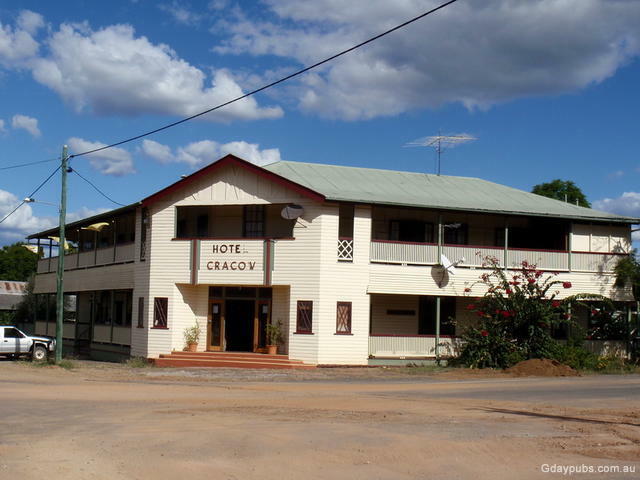 Located 154klms SE of Biloela, Cracow was once a prosperous gold mining town that is now undergoing a revitalisation thanks to high gold prices and reserves under the town. That changes the towns boast to being a ghost town.